CHARITY SINGLE FOR JAPAN - please donate what you can. 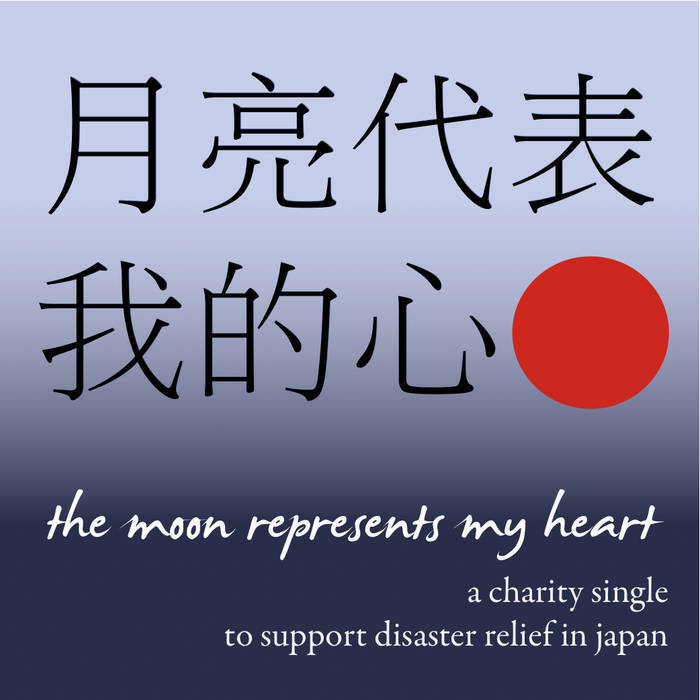 all proceeds after digital distribution fees will go to the Japan Relief and Recovery Fund, which dedicates 100% of donations exclusively to Japan. This fund is managed by Direct Relief International with the support of the Japanese American Citizens League (documentation will be provided). 4/6 we've raised $500 so far and have made a first donation. please keep downloading, and we will make another donation at the next round number. thanks! this song "the moon represents my heart" is a classic chinese tune that was made famous by the inimitable teresa teng and is recognized the world over by generations young and old. moved by the video footage of the tsunami and its shocking destruction, i looked for a way that i could help beyond donations, as i don't have much to give. i hope that my simple acoustic recording of this song can bring people comfort and encourage them to help in ways that i cannot. i've already been amazed by your generosity after posting the charity track on facebook. please click on the SHARE button to spread the word and help keep the momentum going!